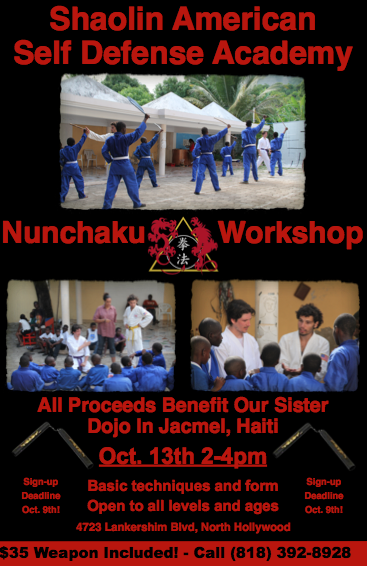 On October 13th our Sister Dojo in North Hollywood will hold a Nunchaku (nunchucks) seminar to raise funds for Sa-K-La-K-Wel. Sensei Donnie Jeffcoat and Sensei Lucas Sullivan will be donating their time for this 2 hour workshop. Students will first go over some basic Karate movements, what is known as “Empty Hand” or weaponless fighting/ defense techniques. Participants will then move on to basic Nunchaku movements and end in a short “form” they can take home with them. The $35 price includes a weapon that each student keeps, making this workshop a great way to familiarize yourself with the Nunchaku and leave with the tools to practice on your own later. Don’t miss this great opportunity to help Sa-K-La-K-Wel and have a great time trying something new in the process! 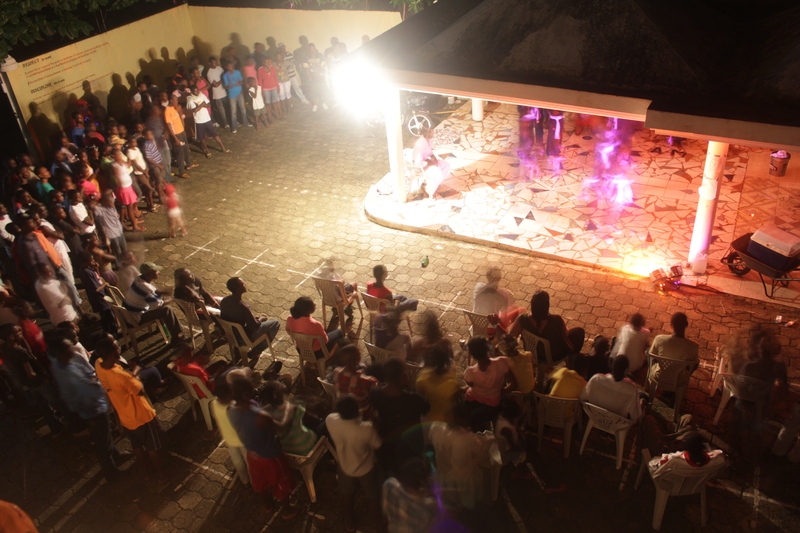 The workshop is open to all levels and all ages. We hope to see you there!